San Francisco wedding photography studio Duende Photo’s owner Ken Mendoza has won the coveted WPPI “Honors of Excellence - Silver” award. The 2018 edition of the award recognizes long-term excellence in wedding photography. The studio provides standard and customized wedding photography packages in San Francisco. San Francisco wedding photography studio Duende Photo announced that owner Ken Mendoza has been awarded the prestigious “Honors of Excellence – Silver” award for the fifth time. 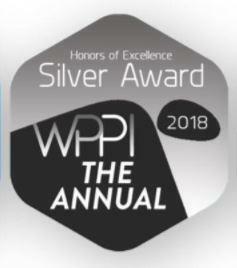 Instituted by Wedding Portrait & Wedding Photographers International (WPPI), the award recognizes technical and artistic excellence in wedding photography. The “Honors of Excellence” awards use a peer-rated points system that considers sustained long-term excellence. Competition entries for wedding & portrait photography are submitted from around the world. Points are awarded based on creativity, composition, posing, and lighting. Recipients are awarded based on their cumulative scores over a period of 16 years. Duende Photo offers multiple wedding & engagement photography packages priced for City Hall, Yosemite National Park, and other San Francisco locations. The studio’s city hall packages range from a basic “ceremony-only” coverage to a comprehensive photographic and HD video coverage of the wedding including family and friends and a photo shoot at up to three locations in San Francisco. Yosemite wedding packages include all-day coverage by two of the studio’s top photographers. Duende Photo also covers elopements, engagements, family events, offering customized packages. Established in the North Oakland area, Duende Photo is an in-home engagement & wedding photo studio specializing in artistic photography in and around San Franciso. The studio’s team of professional photographers use Canon, Nikon, and Sony equipment. Services are available across California including San Diego, Santa Cruz, Malibu, and other locations. More information is available at the URL above.